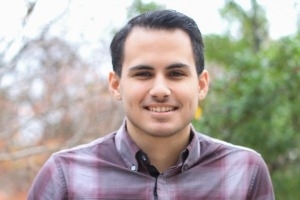 A Transformative Experience Gian-Manuel Alvarez Rivera, MSA ’16, shares why Kogod was right for him. When I reflect upon my time at Kogod, I instantly think about the incredible professors I had; the dream job that became real; and the network I built. This individualized learning experience is why Kogod was right for me-and why I think it could be right for you, too. The faculty and staff were the first factors that drew me to the school. I had professors that were top accounting executives. I had the opportunity to learn from the best. My professors also taught me using real world scenarios. They encouraged me to go beyond what the textbooks said and apply theory to practice. They took the time to get to know me, and, in many cases, used their personal connections to help me find jobs. They helped me build the confidence I needed to excel. I had the opportunity to interview with many of the firms I only thought I could work for in my dreams. I interviewed with Big 4 firms such as Deloitte and Ernst & Young, and smaller and mid-sized firms. I was told that my technical skills were impressive and that my work ethic is something to be admired, all of which I attribute to my education at Kogod. For me, the MS Accounting program was transformative. My professors stressed the importance of teamwork, which helped me make many incredible friends-people I can reach out to in any circumstance. I was able to network with partners from different firms and even high-ranking government officials, many of which became incredible advocates throughout the job interview process. I walked away with an incredible personal and professional network. Kogod prepared me to take on a position as a staff accountant at one of the world's largest and prestigious firms, and foster connections that will last a lifetime. I'm so glad I made the choice to pursue my professional path at Kogod.